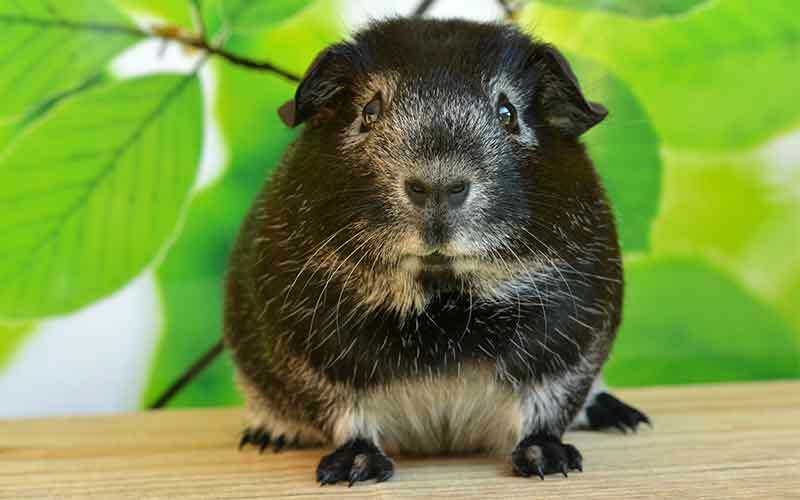 Welcome to our complete guide to girl guinea pig names. 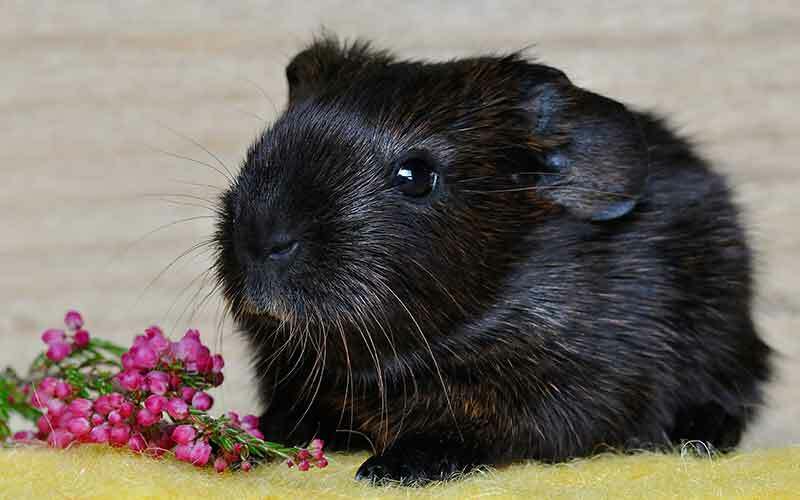 Giving you the best choice for female guinea pigs. 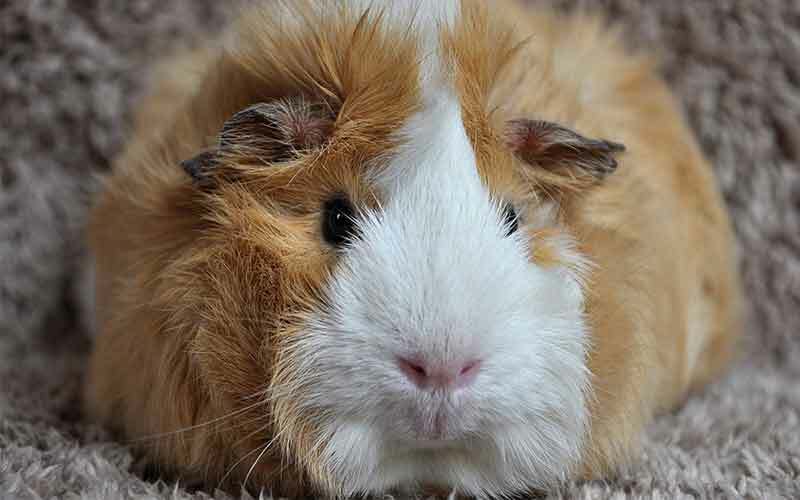 You’ve found your new furry baby – an adorable female guinea pig. In fact, you have probably got two or even three – as guinea pigs don’t like to live alone. Which means you have a whole lot of thinking to do about what to call them. You’ve got their housing, food, and care all in order, which leaves the last (but not least) task of naming the new additions. Guinea pig girls come in an awful lots of shapes and sizes. Their fur could be short, long, shiny, or even dense and wiry. Their color could be black as night, white as the driven snow, red as a fire engine, or a mix of a few colors. It could be solid, patterned, or roan. You can’t help but cuddle them because they are just that darn cute. 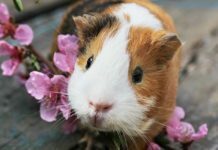 With each girl guinea pig having unique looks and personality, finding a name that’s worthy of each of them may seem like quite the challenge. 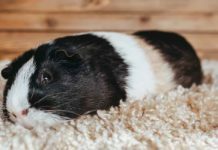 In this article, we’ll provide you with a host of cute female guinea pig names, including names that match your girls’ coat color or personality, names that will set her apart from the rest, and even names that might have her mistaken as a celebrity’s pet! But for now, here are some of the most fabulous girl guinea pig names around. It’s a well-known fact that guinea pigs are too cute for their own good. Why not use your guinea’s looks and unavoidable charm to name them? 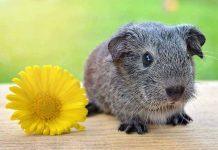 If you’re looking to emphasize your girl guinea pigs’ pretty coat or baby-like cuteness, then you might consider one of these ultra adorable names! Like many other species, guinea pigs may be born completely white. Guineas can also be white with dark spots or splashes of color. These names are guaranteed to emphasize your guinea’s albino or primarily white coat! 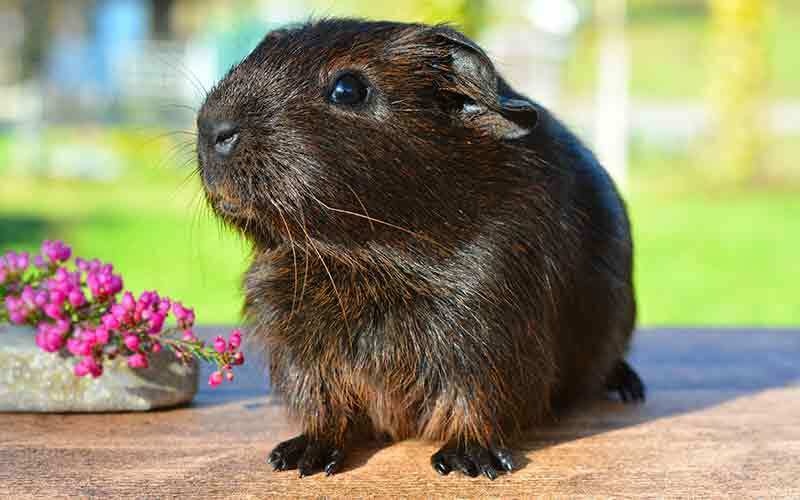 Black guinea pigs are totally stunning. Their coat comes in a range from darkest mat grey to the shinest jet black. 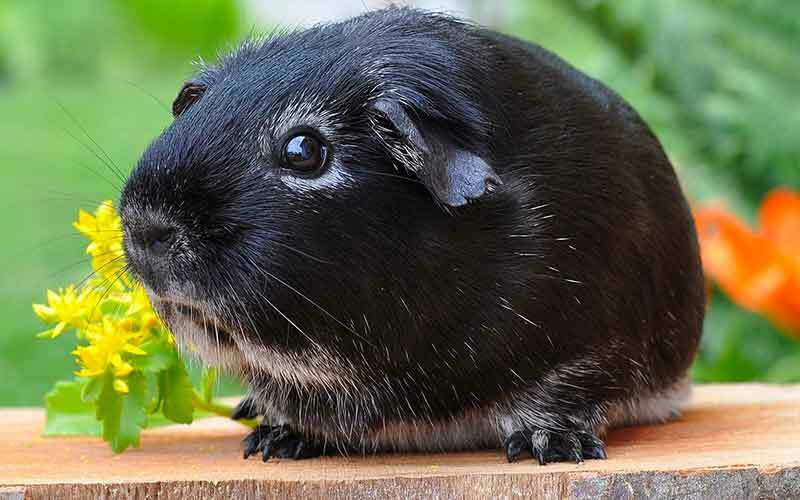 If your guinea pig is black or has lots of black in her coat, then you could choose a name that draws attention to her mysterious coloring. It’s quite common for guinea pigs to have a little or a lot of red and ginger shades in their coat. We’ve listed some names that will surely complement your guinea’s fiery fur – you might recognize a few names that are shared by well-known redheads. After all, redheads are special, regardless of their species! 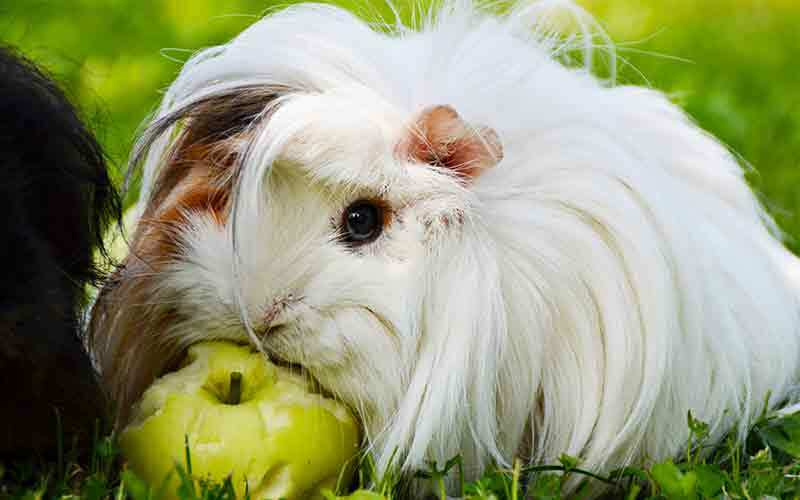 If you have a long-haired guinea pig breed then you might well be looking for long haired guinea pig girl names. 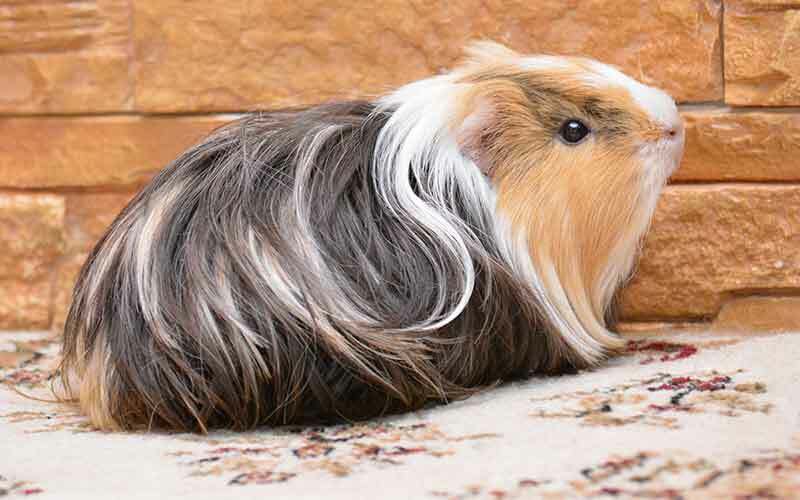 Longhaired guinea pigs include the gorgeous Peruvian, Silkie, Silkie Satin, Sheltie, Coronet, or Texel. Your girl’s gorgeous coat could serve as your inspiration for her name. Everyone likes to be different, at least some of the time. You don’t necessarily want to you’re your new little pets names that your friends have already chosen. Your guinea pigs are unique, so why shouldn’t their names be too. Picking a unique name can tricky, but there are a few places you can look for ideas. Historical names, interesting objects or even random words are a great place to start. Naming your girl guinea pig doesn’t have to be a serious business. When your pet is a rather round and often unkempt-looking “pig-pig,” there’s nothing wrong with letting their humorous appearance guide the naming process! We think the names below will give everyone who meets your guinea a good giggle. Let’s face it, if you are choosing a name you want it to be cool. After all, you are going to be telling all your friends about your new pets. You want to be proud to say their names when you share them. If your guinea pig is “too cool for school,” then a name that matches her high style or lightness of foot could suffice! Here are our top choices for cool female guinea pig names. Your gorgeous girl guinea pigs are bound to be beautiful. These lovely ladies work really well with floral names that bring out their delicate and lovely natures. 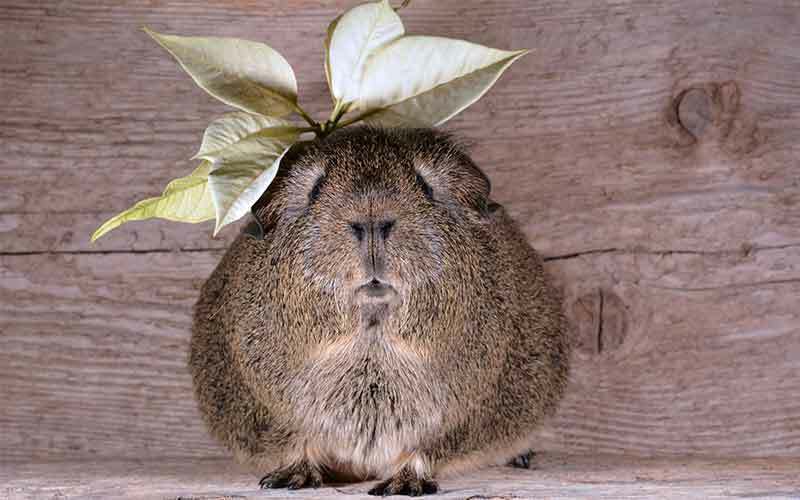 Not to mention that if you look closely at your guinea’s ears, you might notice their slight resemblance to the petals of a bloom! Check out the “garden” of botanical names below. If your guinea pig deserves a star on Hollywood’s boardwalk, then you might name her after a celebrity’s pet! Here are some pet names favored among them. What Are The Best Girl Guinea Pig Names? Finding the right name for your female guinea pig is an adventure. It doesn’t really matter which one you pick in the end, as long as you are happy with it. Once they are named, that name will inevitably simply become a part of who they are. Looking through girl guinea pig names should be an adventure. We hope you have enjoyed scrolling through these ideas. Why not let us know what you decide in the comments section below! Previous articleHow Often Do I Feed My Hamster? A www so many adorable names . I have got 49 guinea pigs and there is one that I can’t name . She’s the odd one out . Poor little thing. I have two female guinea pigs and their names are Piper and Annabelle! My guinea pig’s names are Nala, Luna, and Willow. We have another one that we just got that looks like a panda. We are having trouble naming her. If anyone has one then please reply ASAP. Best wishes to all you piggy lovers! I need a name for my 2 new piggy’s one is fluffy with white brown and orange and a bright pink nose and the other is orange and brown with red eyes any suggestions??? I just got two new guinea pigs that àre about 2 months! They are both brown black and white but in different patterns. Any suggestions?